Rainy cold Melbourne weather, stressful exams looming ahead, and two hungry girls 'trying' to study in a library together spells a recipe for mass procrastination. And the best way to procrastinate? 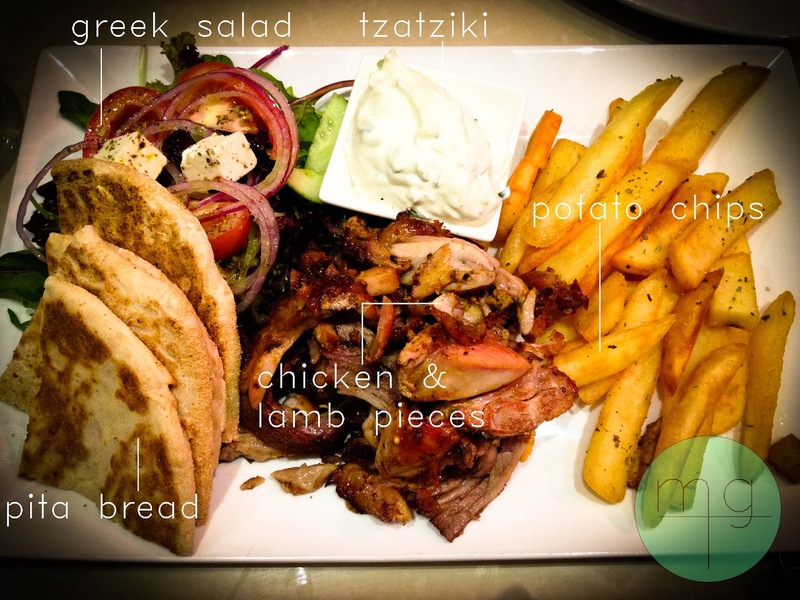 A trip to Oakleigh for some hearty, traditional Greek! As regulars of the ever-popular Vanilla and Nikos, we decided to tickle the tastebuds with something new. 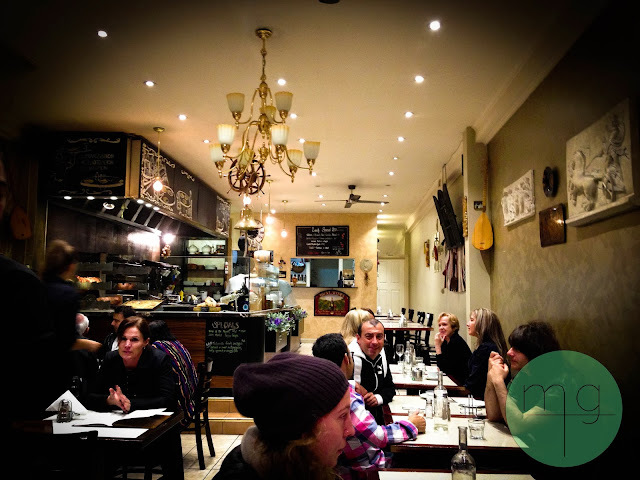 Venture past the busy eateries that populate Eaton Street pedesterian mall, and you will find this quaint little gem, but enter through the heavy industrial sliding door and you will see it is anything but. A's primary motive for choosing Oakleigh was her craving for some good old lamb gyros; so we opted for a balanced meal with a heavy meaty main with a smaller vegetarian appetiser. 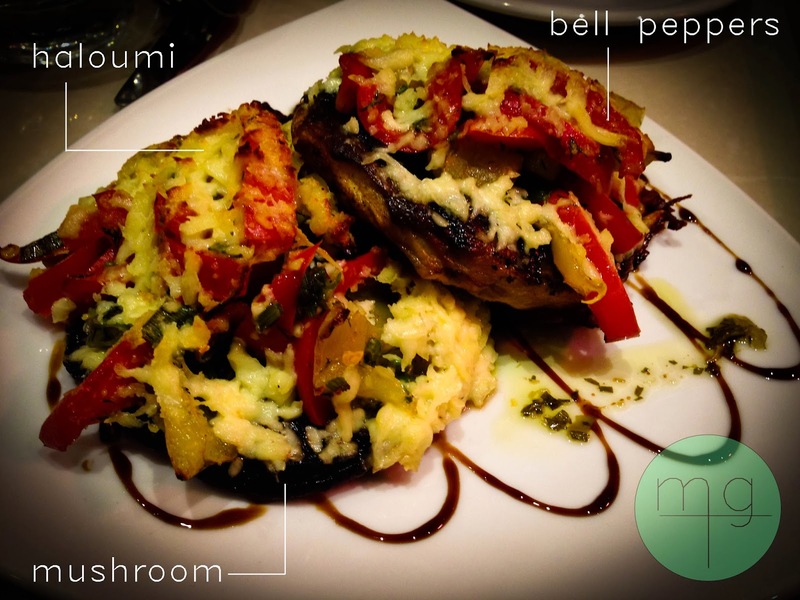 The huge portobello mushrooms were served like mini pizzas, topped with chargrilled peppers and sizzling hot grilled halloumi cheese and a drizzle of balsamic vinaigarette. But unlike a pizza, it was pleasantly light, soft and tender. This, if you can believe, is a serving for one person. The Open (Mixed) Gyros Platter came out, comprised of all the elements needed to make your very own gyro, DIY-style. Where to begin? The chips were lightly seasoned to give it that kick of flavour, and were cooked to perfect crunchy crisp - reminding me of the chips we had at Jimmy Grants back in August (the Greeks must have their own secret recipe for chips!). And then the meat, a mixture of chicken and lamb, cooked on a traditional spit roast to maintain its tender and flavoursome integrity - paired with lightly oiled pita bread and bit of tzatziki? Simply divine! With friendly service and reasonable portions for the prices you pay a mere stone throws away from home, this will definitely be the first trip of many to come. It was exactly the kind of meal we needed to get our minds off the huge night of cramming we had ahead of us. And it did pretty well - carrying us through all the way til 2am!